Run The Jewels On Empowerment And Shared Humanity : The Record El-P and Killer Mike talk to Stretch and Bobbito about how they turned slang into a slogan, homophobia in hip-hop, and the importance of cherishing shared humanity over political differences. The story-in-progress of Run The Jewels is one of triumph. El-P and Killer Mike met in 2011, and after a fruitful collaboration joined forces officially in 2013, forming Run The Jewels. Four years and three critically acclaimed albums later, they have become one of the most unlikely success stories of 21st century hip-hop. Both rappers have had long, bumpy journeys in different scenes: El-P (born Jaime Meline) was an original member of New York City's Company Flow and co-founded a record label, Definitive Jux. Killer Mike (aka Michael Render) is Atlanta born-and-bred — he made his debut with a feature on OutKast's Stankonia and, between numerous solo albums, has collaborated with Big Boi, T.I. and the Dungeon Family collective. Before they met, both rappers were at crossroads in their respective careers, struggling with a lack of recognition and grappling with loss both personal and financial. 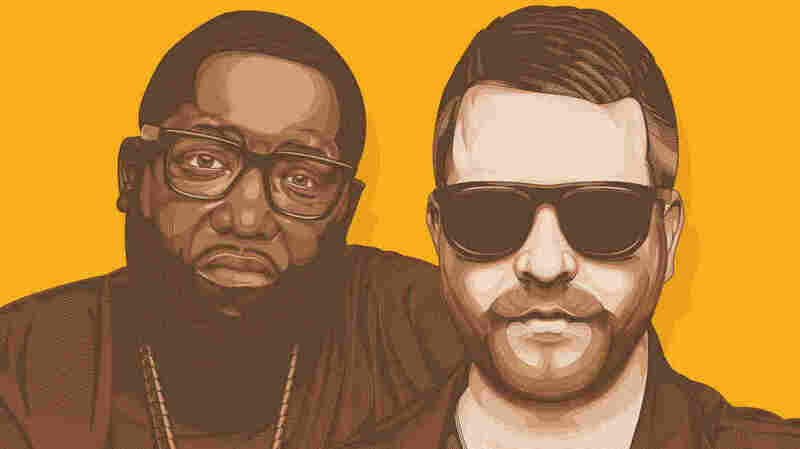 The emergence of Run The Jewels is, therefore, not just a meteoric rise, but a remarkable career renaissance for these two hip-hop veterans. On this episode of What's Good with Stretch & Bobbito, El-P and Killer Mike talk about how they turned "run the jewels," originally slang for a robbery, into an empowering slogan, homophobia in hip-hop, emphasizing shared humanity and freedom over political differences and more. El-P on the origin of the name "Run The Jewels"
Run The Jewels, me and Mike, and our connection and everything, came out of a period of time where I had personally lost everything. Everything I had been working on, including any personal money that I had, you know, the record label I had been working on for 10 years and all, and friends that had passed away — a lot of stuff kind of fell out from underneath my feet, completely. And I had a period of time where I was, a couple years where I had been humbled by the world. I'd been humbled by the universe. But I remember, when I started making music and started to feel good again, and I remember I was listening to "Cheesy Rat Blues" off of the Mama Said Knock You Out album [by LL Cool J]. And it's a story about him losing everything, about him being a rap star and losing everything, and the friends that he thought that he had going away, and him getting desperate. And it just connected with me at that time, I'll be honest. And at the end of the song he went, "Throw your hands in the air, wave 'em like you just don't care, keep 'em there — run the jewels." All of a sudden it meant something to me, bigger than that. All of a sudden it felt powerful. All of a sudden it felt like, "You know what? I don't have anything, but get ready. I'm gonna take it. I'm gonna take something." What I care about is that people know we're free. The older I get, the more of an anarchist I become. And I don't mean in the punk rock type of way where I just seek to destroy things. I mean, I believe truly we're not going to progress as a species until we feel responsible to educate and to bring every heart, or every person who belongs to this species, up to a point where we don't have a need for culture, religion, or nations to define us. I'm not saying you can't do your culture, religion or your nation, but that can't be the only thing that defines you as a human being, you know? I have to see your humanity before I see you as a Spanish man. I have to see your humanity before I see a white man. Doesn't mean I don't see a Spanish man. Doesn't mean I don't see a white man. It means that I don't let those things interfere with me respecting and loving you as a human being. That is sacred to me. Let's give black people and black music some credit: they are a very inclusive bunch. You know, black people don't really keep people out of their thing. If you say to a black woman on the train, "I've always wanted to go to a black church," she's gonna invite you to her church. If you look at rock 'n' roll, they never tried to keep white artists out. ... Black people are a good people! In terms of culturally sharing with people. So as long as you have love and respect, and prove authentic, there has always been a way for people that have been let in the door that did right by it. Because you grew it. We need allies. That is my pet word. Like, none of us progress without allies. None of us progress. I am happy [about] the amalgamation of people that has taken and pushed this art form forward.